A moment of extreme clarity became an obsession for me last week. A session that I had prepared for the IL-TCE conference went from "Web 2.0 Tools for the Classroom" to "Why Web 2.0 Is Important to the Future of Education." Then, as PowerPoint fever gripped me (OpenOffice.org Impress, actually), moving slides around as though they were puzzle pieces finally coming together correctly, I found my thoughts coalescing toward a bold conclusion and a final title change: "Web 2.0 Is the Future of Education." It was not, I know, what I was supposed to talk about. But it felt so important, as though the idea needed me to say it out loud. And it was magnified by the impression I was having that we're about to have the biggest discussion about education and learning in decades, maybe longer. I believe that the read/write Web, or what we are calling Web 2.0, will culturally, socially, intellectually, and politically have a greater impact than the advent of the printing press. I believe that we cannot even begin to imagine the changes that are going to take place as the two-way nature of the Internet begins to flower, and that even those of us who have spent time imagining this future will be astounded by what happens. I'm going to identify ten trends in this regard that I think have particular importance for education and learning, and then discuss seven steps I think educators can take to make a difference during this time. I have been heavily influenced by an article co-authored by John Seely Brown (JSB) in Educause Magazine, called "Minds on Fire: Open Education, the Long Tail, and Learning 2.0" and listening at least twice to a talk he'd given at MIT on the same topic. I've tried to attribute his thoughts here, but there is a fair amount of "remix" taking place in my bold assertion, and while the conclusion is my own, his work has significantly informed it. Trend #1: A New Publishing Revolution. The Internet is becoming a platform for unparalleled creativity, and we are creating the new content of the Web. The Web that we've known for some years now has really been a one-way medium, where we read and received as passive participants, and that required a large financial investment to create content. The new Web, or Web 2.0, is a two-way medium, based on contribution, creation, and collaboration--often requiring only access to the Web and a browser. Blogs, wikis, podcasting, video/photo-sharing, social networking, and any of the hundreds (thousands?) of software services preceded by the words "social" or "collaborative" are changing how and why content is created. Trend #2: A Tidal Wave of Information. The publishing revolution will have an impact on the sheer volume of content available to us that is hard to even comprehend. If fewer than 1% of the users of Wikipedia actually contribute to it, what will happen when 10% do? Or 20%? There are over 100,000 blogs created daily, and MySpace alone has something over 375,000 new users (content creators) every day. I remember how much work I had to go to in my childhood to just find information. Now, we must figure out what information to give our time and attention to when we are engulfed by it. Web 2.0 is the cause of what can only be called a flood of content--and while we don't know what the solutions will be to the information dilemma, we can be pretty sure they will be brought forth from the collaborative web itself. I will also say that on a personal level, when people ask me the answer to content overload, I tell them (counter-intuitively) that it is to produce more content. Because it is in the act of our becoming a creator that our relationship with content changes, and we become more engaged and more capable at the same time. In a world of overwhelming content, we must swim with the current or tide (enough with water analogies!). Trend #3: Everything Is Becoming Participative. Amazon.com is for me the great example of how participation has become integral to an industry, and in a delicious irony, the book industry itself. The reviews by other readers are the most significant factor in my decision to purchase (and sometimes even read!) a book now. Not only that, but Amazon takes the information of its users and by tracking their behavior provides data from them that they are most often not even aware that they are helping to create: of all the customers who looked at a certain book, here is what they actually ended up buying. This feature often leads me to other books I might otherwise not have heard of. Amazon's Kindle, I keep saying, is a hair's breadth away from ROCKING our reading world. Imagine an electronic book that allows you to comment on a sentence, paragraph, or section of the book, and see the comments from other readers... to then actually be in an electronic dialog with those other readers. It's coming. Trend #4: The New Pro-sumers. The word "pro-sumer" is a combination of the words "producer" and "consumer." More and more companies are engaging their customers in the creation of the product they sell them. From avid off-road bikers who created the original mountain bikes that now dominate the market, to substantial companies eliciting R&D work from a broader public. (And don't get me started on American Idol, which is a fairly brilliant way to create a superstar.) The nature not just of how knowledge is acquired, but how it is produced, is changing. Trend #5: The Age of the Collaborator. We are most definitely in a new age, and it matters. If I'd been born 150 years ago, I might have been taken out into the wilderness and left to die--I can't digest milk, have a skin disorder that keeps me mostly out of the sun, and a nerve problem in a foot that without the right shoe insert incapacitates me. There is no question that historical eras favor certain personalities and types, and the age of the collaborator is here or coming, depending on where you sit. The era of trusted authority (Time magazine, for instance, when I was young) is giving way to an era of transparent and collaborative scholarship (Wikipedia). The expert is giving way to the collaborator, since 1 + 1 truly equals 3 in this realm. Trend #6: An Explosion of Innovation. I'm pretty proud of my brother (Andrew Hargadon), who wrote the book How Breakthroughs Happen. In explaining the misconception of the lone inventor, he shows how innovation results from the application of knowledge from one field to another--including the important role that consultants can play in this process. Now, imagine all of us as creators, bringing our own particular experiences and insight to increasingly diverse and specific areas of knowledge. The combination of 1) an increased ability to work on specialized topics by gathering teams from around the globe, and 2) the diversity of those collaborators, should bring with it an incredible amount of innovation. Trend #7: The World Gets Even Flatter and Faster. Yes, and even if that "flat" world is "spiky" or "wrinkled," it's still getting pretty darn flat. That anyone, anywhere in the world, can study using over the material from over 1800 open courses at MIT is astounding, and it's only the start. Trend #8: Social Learning Moves Toward Center Stage. This is really JSB territory, and best addressed by him (see www.johnseelybrown.com), but I'll recommend him to you while still mentioning that the distinction between the "lecture" room and the "hallway" is diminishing--since it's in the hallway discussions after the lecture where JSB mentions that learning actually takes place. Just witness the amazing early uses of social media for educational technology conferences (see www.conference20.com). In the aforementioned Educause article, JSB discusses a study that showed that one of the strongest determinants of success in higher education is the ability to form or participate in study groups. In the video of his lecture he makes the point that study groups using electronic methods have almost the exact same results as physical study groups. The conclusion is somewhat stunning--electronic collaborative study technologies = success? Maybe not that simple, but the real-life conclusions here may dramatically alter how we view the structure of our educational institutions. JSB says that we move from thinking of knowledge as a "substance" that we transfer from student to teacher, to a social view of learning. Not "I think, therefore I am," but "We participate, therefore we are." From "access to information" to "access to people" (I find this stunning). From "learning about" to "learning to be." His discussions of the "apprenticeship" model of learning and how it's naturally being manifested on the front lines of the Internet (Open Source Software) are not to be missed. It's the model of students as contributors that really grabs me, and leads to the next trend. Trend #9: The Long Tail. When Amazon.com sells more items that aren't carried in retail stores than are, it's pretty apparent that an era of specialized production is made possible by the Internet. 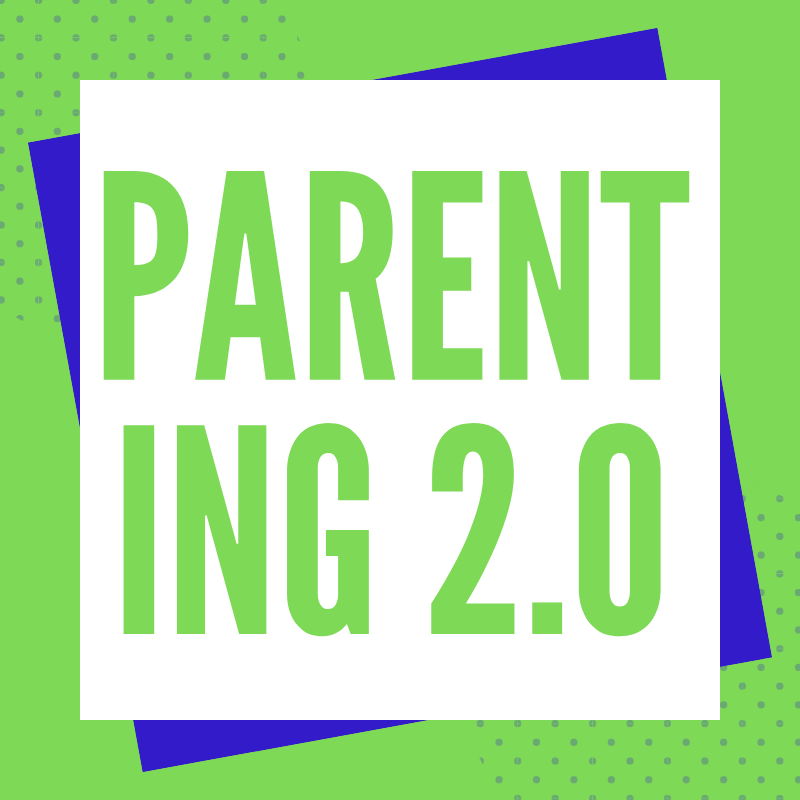 Chris Anderson's Wired Magazine article, and then his book, should capture the attention of the educational world as the technologies of the Web make "differentiated instruction" a reality that both parents and students will demand. I can go online and watch heart-surgery take place live. I can find a tutor in almost any subject who can work with me via video-conference and shared desktop. If a student cares about something--if they have a passion for something--they can learn about it and they can actually produce work in the field and become a contributing part of that community. OK, so if you're still with me, before I discuss the seven things that educators can do, I want to do a little ode to JSB that shows the shifts and where I think we're going in a larger context. I also want to suggest that their implications for education and learning are paradigm-shattering, as they in fact are all really about education and learning. * From "access to information" to "access to people"
* From "learning about" to "learning to be"
I wonder if you will agree with me, now, that Web 2.0 is the future of education. If not, I sure hope you'll sound off! In the meantime, here are some things I think educators can do if there is truth to what I have suggested. * Learn About Web 2.0. It's not going to go away, and it is pretty amazing. I know it may seem overwhelming, but it's worth taking the time to jump in somewhere and start the process. Classroom 2.0 (www.Classroom20.com) is not a bad place to start, since it's a social network for educators who are interested in learning about Web 2.0, as it turns out... :) Those of you with suggestions of other resources, please post comments linking to them. I do like social networking as an easy way to enter the world of Web 2.0, and a good list of educational social networks can be found at http://socialnetworksined.wikispaces.com. * Lurk. There is nothing wrong with "lurking," and a lot to recommend it. If you go to Classroom 2.0 or some other site, that doesn't mean you have to become a contributor right away. If you've spent years evaluating students on their writing, it can be a little scary to put up something you have written for the whole world to see--especially if you don't have hours and hours to refine it. So wait and watch a little. * Participate. After some purposeful lurking, consider becoming personally engaged. Be brave. Post a comment, or reply to a thought. It can be short! While Web 2.0 may seem short on grammar, spelling, and punctuation, your skills in those areas will help you to communicate well, and you will discover that contributing and creating take on significant meaning when you are participating in a worthwhile discussion. 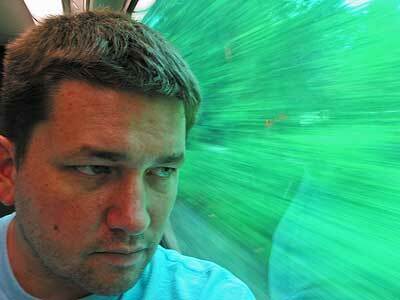 * Digest This Thought: The Answer to Information Overload Is to Produce More Information. * Teach Content Production. When you have understood the previous suggestion, you'll realize the importance of starting to teach content production to your students (and your friends, family, and anyone who will listen!). This is important on many levels, not the least of which is teaching how to make decisions about sharing what you produce (copyright issues, and be sure to learn about Creative Commons licensing)--so that your students can appreciate the importance of respecting the licensing rights of others. * Make Education a Public Discussion. I had a friend who use to tell me that when he said he was a teacher, all dinner conversation would stop. Maybe the general public hasn't spent much time discussing or debating education and learning lately, but it's about time for that to change. * Help Build the New Playbook. You may think that you don't have anything to teach the generation of students who seem so tech-savvy, but they really, really need you. For centuries we have had to teach students how to seek out information – now we have to teach them how to sort from an overabundance of information. We've spent the last ten years teaching students how to protect themselves from inappropriate content – now we have to teach them to create appropriate content. They may be "digital natives," but their knowledge is surface level, and they desperately need training in real thinking skills. More than any other generation, they live lives that are largely separated from the adults around them, talking and texting on cell phones, and connecting online. We may be afraid to enter that world, but enter it we must, for they often swim in uncharted waters without the benefit of adult guidance. To do so we may need to change our conceptions of teaching, and better now than later. i'll be coming back to your blog. Steve- Absolutely wonderful post about the power of Web 2.0. I have thought the same thing for about a year now but haven't dared to even state something as bold at my school. I work at an online school and only 2 or so of the 25 teachers promote the use of Web 2.0tools with their students. At an online school! Keep up the great work. I will agree that Web 2.0 is going to play a huge roll in education. The gap that I see as it stands right now is mandated education and certification. There a many industries that have requirements from the government or other regulating industries. These requirements need to be met and be verifiable. In some cases they need to be reported. While there are means to track required learning in a Web 2.0 environment, regulating agencies probably will not be too quick to adopt this method. Steve I agree with your Web 2.0 comments absolutely. What wonderful ways to improve student literacy and engage them in learning. We always talk of preparing our kids with 21st century skills in school, but I have to wonder about teachers who never developed their own 20th century skills -- are they going to be up for the task? Or will our students languish in their classes never reaching their potentials. Your demonstration of using Web 2.0 in coming up with and remixing this post, and then the rest of us participating and commenting underpins what Web 2,o is all about. I will be adding your post to my delicious tags, and your blog to me blogroll and RSS feed. It will be among materials that I give learners to create, produce and present their own Web 2.0 information and participation! Thank you for your work and contribution! Thanks for the great post. I have forwarded it on to our admin. Your sidebar is a great example of what it is all about for me as well. Thank you for this very informative writing. You picture bright horizons, and I can't hardly disagree with you. My only question is to what extent this future will come to developing nations. What can we do to broaden the roads for this future in remote places? Do we really have to wait for physical roads to be built before these ways are cleared? Is it not possible to leapfrog our way to a more prosperous future? Many people just don't understand how paradigm changing, how life altering, how mind-blowing this all is. You are correct, this is not just another trend, but this is a major cultural shift. Steve and Durff, I agree completely that this is more than just some tools, but a completely shifting paradigm that we have yet to fully grasp the meaning of, though we see glimmers. Incredible post, and one that is going to be sent straight to my administration as well. You've laid out some of the keys very clearly. I am an academic writing about these very concepts in the context of history, social structure and class. Your post is the most clear and yet thorough opening up of many of these issues I have come upon. Great stuff! I agree with you whole heartedly. My company provides solutions in this area for districts as well. Steve, while I have had a similar epiphany myself, you were able to articulate it and bring it closer to the pragmatic level than I ever could. I agree in spirit wholeheartedly, but I share the concerns of brian and calvine, above, who cite the need for a critical mass of educators, administrators, and governmental agencies (who now seem to dictate edu policy more than educators) to see the new tools as shaping learning instead of an impediment to it. As Throughthephases points out, perhaps the very bottom-up nature of the shift will render such authority figures irrelevant, but as we know, Authority by its very nature does not take kindly to being marginalized. It seems to me that those in education, especially k-12 teachers, are the key missionaries in this shift, for they can be liasons between students and administrators, supporters of colleagues, while of course demonstrating for children (and their adults) how to use the read/write web constructively. They have many of the skills required to make web 2.0 more of a community than a wild west, as some have characterized it. Thanks for the great post, Steve! Hey Steve. Sorry, as much as I want to share in that vision, the reality of that vision is something that I cannot see at this point. From your previous post about the "deer-in-headlights" from the ICE conference at Pheasant Run, I just don't see the Web 2.0 utopia a reality in the near future. I have seen that look in casual conversations with teachers, and even students. Honestly, I do not know where to begin. Look, intrinsically, I absorb Web 2.0 stuff because technology and education are my passions. But I look at the landscape from the worm level and what I see are teachers who go to these conferences and get hyped, come back and settle back into their ruts because there is comfort there. There is nothing that forces them out of that rut. The trends are there, yes, but there is no trend to get teachers to move. Technology is not on the test. There is very little hard data that would indicate an improvement in test scores from technology (see Maine Laptop Project where there have been minimal gains). Look, in one post, it is deer-in-headlight absorbers. In this post you see active pro-sumers. There is something buried in the bottom of your post though that needs to be the focus before the trends even become a reality in education. "Help Build the New Playbook." That is where we need to be right now. The 2.0 should still be there, but I still believe we need to offer teachers that "buy-in." The ones reading this blog, the ones on twitter, the ones go proactively go to conferences, are not the ones we need to reach. They are already at the party. We need to get under the tip of the ice berg to the teachers still happy with their test scores and overheads and colorful chalk. That will be difficult. Web 1.0 was fast to these teachers. It changed the game because of the information suddenly available that wasn't there before. Now you have Web 2.0 and that moves even faster because the landscape changes so dramatically. Blogs are being replaced with Twitter and Pwnce (I heard it on the TwiT podcast and Dvorak made sense for one), but what will it be in a year or two? Teachers want something they can dig into and use not for 6 months, but for years. That's why Web 1.0 still rules the schools. Sorry for the long comment back. I think there are things I missed here, but I hope you understand simply that I am not trying to nay-say, but make sure this is a critical, realistic look at what may be. In the early years, before the internet was mainstream, it was celebrated as revolutionary precisely because of its interactive nature. "Throw away your television, go online, debate, and be informed." We had email, chat (IRC), web sites that were easy and cheap to publish (free for many). If you had an opinion, you could tell the whole world. It has been that way for a long time, for well over a decade. So exactly how is "2.0" a revolution? I suppose it adds a slick layer that encapsulates and hides more of the technical obstacles to self-publication, much like geocities removed the need to understand HTML and FTP ten years ago. A double edged sword, surely, easing the way for scholars and hate mongers alike. Not to mention the incessant clamour of conflicting and uninformed opinion, and the hawking of wares. All reducing the internet to a state very similar to television before the internet. I had an interesting talk with my uncle who is an educator in California. He's worked as principle for multiple schools, and ever since I was a small lad I remember he always had the most cutting edge computer. These days though he still has to teach the fundamentals of how to use a mouse and check email to teachers within the school system despite having been a strong proponent of technology and it's use throughout his career. So with regards for how Web 2.0 is going to change education, and believe I think it will as well, don't expect it to happen soon within public education. For whatever reason the system is set in its way and there's still too many "greatest generation" and baby boomer teachers that are keeping public education from keeping pace with technology. Not to say they aren't contributing to the futures of the children they teach. But the generation gap leaves them incapable from innovating with technology or even using it effectively. I remember in gradeschool the teacher would use an "interactive laserdisc" for instructional purposes and it was more of a toy or caricature of technology than a real tool. Computers themselves were mostly things we just played math games on. And for many teachers, that's a far as it will ever go. As of recent I've never heard of a digital life management and online ethics course taught at any school. I predict that within a few years, maybe 5, no more than 10, it will become a prerequisite class in many schools, most likely highschool. And of course schools will have their own social networks that interconnect with schools all over the world allowing for dynamic blended learning environments that will make schools today look like antiquated relics of the old world. Until then, its up to the parents to teach their kids to use the web well, to play nice with others, and to to program so that they can make a web 3.0 startup in highschool and sell it to google in time to pay for college. I work in a university center that promotes teaching, learning, and learning technologies. However, for as much as we do encourage faculty to take advantage of the useful aspects of certain tools, I do have to wonder: as pro-sumers gather and produce data (is it information yet? ), how much in-depth reflection on course content, progress, real-life meaning really happens. Is the amount of true reflection diminishing as more data (information?) is made available online to us? Steve: While I do agree with your points in principle, I've been trying to think about how and why the promise of Web 2.0 is NOT delivering all we might want. I have been teaching a college class on and about YouTube, and that site, certainly, was mostly a disaster for higher education (thus, allowing us to name what we needed that it did not provide) including, for example and in brief: length and depth of dialogue, ability to link and comment across texts, to talk together at the same time, to form communities. I speak at greater length about this on my blog and on YouTube and would love feedback as these ideas are still forming! I attended that session at the Illinois convention. I left knowing that I had a career-changing moment. Steve - this is a wonderful post and I have already forwarded it on to several colleagues. You are bang-on in your assessment of Web 2.0 being the future of education. I see it. I believe it. I want it to happen. Like several others who have posted comments, however, I am frequently left wondering how to make this happen. Many of my colleagues are still reluctant to do something as simple as using email. I have received nothing but complaints about requiring online registration for a district event ("Can't I please just do it on paper and send it to you?). When tasks like this are beyond their comfort level, I can't help but question how I will get them to become pro-sumers using a variety of other tools? Some people are willing to learn and I try my best to help. In my "spare time" (ha!) I make myself available to work one-on-one with colleagues, have offered (and continue to offer) workshops to in-service and pre-service teachers, have shared knowledge through mentorship opportunties in my district and more. In my position as an elementary teacher-librarian I model the use of blogs, wikis, podcasts, Voicethreads and other tools. I maintain a virtual library website. I host online bookclubs using Moodle discussion forums. I teach information literacy skills. I listen to ed tech podcasts when I walk my dog, and I lurk in Ning groups like Classroom 2.0. I see the value in all of this and I try to make others see it to. Have I achieved success with a few “converts”? Sure. More often than not, however, I find that “you can lead a horse to water” is an accurate description of trying to affect any change in education... or with educators. These shifts are hard! Do I blame my colleagues? No... they are busy, busy people. There have been very few pro-d opportunties to learn any of the new technologies – certainly even fewer on Web 2.0 topics.... not that the “one shot deals” are very effective anyway. It is hard to find time to play around with these new tools when they are already busy with all that they are expected to do. But I really, really really want them to...and I think our students need them to as well. I guess, then, I am wondering if there is a “playbook” (or if one could be created) on how to gently move resistant district personnel and colleagues in the direction that we so obviously need them to go. How do a few already busy people affect enough change to make it so that (to continue with your water analogies) we actually feel like we're swimming with the tide instead of always against it? Help! Great post, Steve. We're right there with you regarding technology and social learning and are trying to spread the word by referencing you in our blog. Steve, I am new to your blog and am beginning professional development in the uses of Web 2.0 in the middle and high school classroom. I found your post incredibly thought provoking, and enjoyed the contributions of your all who commented. 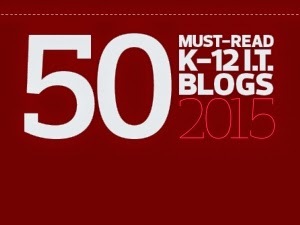 Thank you for including practical advice on how to incorporate Web 2.0 in the classroom. I have posted a brief of "Web 2.0 is The Future of Education" on my blog for my classmates to consider. I would welcome any comments or thoughts you might have to share with our class. Great post. You are a strong writer with interesting thoughts to share. I'd love to hear expanded thoughts on your bullets ("from authority to transparency, e.g.") in future posts. Hey Steve! Great post! I really love it. Those were my thoughts exactly when I started to work on the web site for my kids' school. As you can see we are a long way from making this happen. Us, the technology savvy people, we are a different race from the technophob user. And there are many of those among teachers: some simply because they can't find the time to learn this new environment. And I am guilty of trying to push too hard. I am reminded lately of this chapter on "little house on the prairie" were they introduced the telephone in town and how people objected to this witchcraft at the beginning. Much like some refrain from the web now. Thanks for the link to John Seely Brown's talk at MIT. I agree wholeheartedly despite the pessimism of several of your other commenters. As a biologist grounded in natural selection, I take it on principle that any population that does not evolve becomes extinct. This principle extends to the population of teachers in school systems. We are in a global competition. Having viewed the panel discussion at MIT, I have a sense that India has the leadership and the will to make Web 2.0 a dynamic part of their educational system. Based on this premise, if a school does not embrace new competitive learning strategies, it can be predicted that their students will be at a marked disadvantage in the global marketplace. Teachers who stick to chalk and talk are not only doing their students a disservice but they themselves will become more and more easily replaceable by scalable instructional delivery systems. The author of Wikinomics makes a convincing case that Boeing succeeded where Airbus failed due to the power of the collective. If the local reality of many tech teachers in the US is typical of your naysayers, then those school systems will simply be left behind the global competition with disastrous consequences for our nation. The IBM selectric was the typewriter of choice during my school days. Where is it now? School 1.0 may be replaced sooner than we think. So let's get busy building. Really great job organizing this rather large subject into a very engaging and thought-provoking article. The idea of a true paradigm shift when thinking and talking about “education” and “learning”---in that the age-old (and rather illusory) distinction between school and “real life” is ready to give way, thankfully---is truly exciting. Everything one does in life is a real and potential learning experience, covering a wide range of domains of thoughts, skills, and interests; even though many “disciplines” have been distilled into separate tracks and taught via traditional instruction (and that many people seem to consider this the embodiment of “education”), this should not take away from the idea that life-long learning is everywhere and in everything we do, and the relative importance of each should not be so casually ranked. As we have seen, there are countless examples of extraordinary individuals and achievements, and many had little or nothing to do with typical education or with “book learning”. Even this term seems old-fashioned now, since books are but one of the many forms of communication and production which are readily available today---and particularly with the participatory elements, these forms truly have unlimited learning and networking possibilities. Putting them to use for learning (in whatever forms we choose) is definitely the future of education...the transformation of the concept of intelligence itself, as well as the transformation of the individual. The list with “From the lecture to the hallway” was really right on. It’s so interesting how words can convey so many things, especially when combined in certain ways---or when arranged into a structure like this. It was so easy to get an overall gist of the ideas in such a quick read and the comparisons were striking. From my experience, really great teachers are facilitators as much as lecturers, and many times something they say quite off-handedly has really made a positive impact on my thought processes and worldview. Along those lines, encouraging words have such an important effect upon one’s work, their motivation, and their self-image; this is right in line with collaboration and discussion, not just from a “teacher” to a “student”, but in groups and online as well. Being able to connect with other people and their ideas, as well as be able to question and comment, is an incredible tool for learning and discovery, and these days it allows so many people to experience in the interchange by reading the results. This is but one of the truly world-changing elements inherent in Web 2.0, and for any life-long learner (as we all are), provides limitless possibilities. It’s fascinating to watch it evolve. Really, I think this blog post and the resulting comments illustrate precisely why we should be a little more cautious and a bit less orgasmic over "Learning 2". First, in the original post, there is really nothing that has not been said dozens (hundreds?) of times in other venues. The original post, in fact, isn't original at all. Redundancy is becoming rampant in the educational community as everyone rushes to say the same thing and I suspect the same thing is happening in other domains as well. Now, hear some descriptives culled from the readers who evaluated this post: "great", "awesome" (several times - we seem to be losing our facility for language, or we are easily awed), "wonderful" and "absolutely wonderful", "informative", etc. A few readers took issue with the post or portions of it, but I think we can say "So much for peer review". No doubt, the new "socializing", "content creation" and "sharing" technologies of the Web potentiate the creation of new or enhanced learning pathways, the most useful of which can probably be lumped under "accessibility". But let us not allow ourselves to be transformed (by means of these very social instruments? )into a cult of magical thinkers. Whether there is, really, anything new under the sun in education is far from proven. The predictions that now abound in the Learning 2 domain are becoming downright silly, with "The End of Teaching! ", "A World Without Courses! ", "Self-Directed Learning!" and similar euphemisms for what really amounts to educational anarchy sprouting up in alarming numbers. It is impossible not to suspect that many of these articles are written by educators who are themselves ambivalent about education. Somewhere today (I am researching the topic) I read that "learning really takes place in the conversations that occur in the hallway outside the lecture hall" (and not in the lecture hall itself). Really? Hallway: "Hey, baby, ya wanna grab a beer?" The magical thinking is largely based on a mythical learner who probably does not, for the most part, actually exist until the average individual is past his undergraduate years. And, the magical thinking is also based on a cultic worship of the value (in the economic sense) of collaboration. It's funny, isn't it, how we've gone from thinking about "mob mentality" to "the wisdom of crowds"? The more you know about the human mind, the more you know about exactly how learning happens (start with Ebbinghaus and work your way forward), the more you know about the development of the brain during childhood, adolescence and young adulthood; the more you know about what collaboration can do and does NOT do very well, and the more you understand the current youth culture, the less you will talk about throwing traditional learning models out the window. Let's take a lesson from software versioning, which implies incremental improvement. If, by "Learning 2.0", we mean "an improved version of Learning 1.0", I'm inclined to agree with that idea. The traditional learning model (teachers teaching courses)can certainly be enhanced by providing wider accessibility, enabling group projects, encouraging student-student and student-teacher interactions, etc. If we mean something completely different from Learning 1.0, however, I think we're in danger of jumping the tracks. But then, I've never misunderstood Learning 1.0 to be one in which "teachers pour information into students' heads" (as some now characterize it) anyway, for the simple reason that no such thing is possible, nor has it ever been possible. Would that it were! But just try it and you'll be a miserable failure as a teacher. Some may have read "Predictably Irrational: The Hidden Forces That Shape Our Decisions" by the behavioral economist at MIT, Dan Ariely. It's an interesting exercise to read the fascinating insights he provides and then to rethink your assessment of Learning 2.0. Not being a trained educator, I suppose I should limit my comments. But to have had these kinds of things available when I was in school! Wow. Add to that inspired, participating educators (peers in the flat scheme). Neat. Some posters have raised the specter of challenges -- inertia, regulation etc.. As a member of one school district's technology dept. I see the point and am frankly discouraged on those grounds myself. It is real. But progressive thinking exists too. Great post Steve! I've been taking part in a course on 'Visual Learning' run by NAACE and as a consequence have been looking at the role of web 2.0 in education. At first I was sceptical about web 2.0 and social networking thinking it was just another way for us educational technologists to jump on the bandwagon of education reform. Howver, through the practise of blogging and taking part in forums I have moved away from 'I think therefore I am' to 'We participate therefore we are'. It has really revolutionised my understanding of education. Thanks Steve! I've posted a response on my blog at edublogs. Steve -I've been an educator for 30 years in the k-12 world. Thanks for sharing your vision of education for the future. I think you have cleverly described where we need to head. It will be a fascinating time when we redesign education so that teachers and students work in a participatory manner. Learning by doing, experiencing expertise and becoming part of a community can be so motivating. I work with teachers to better prepare them to infuse technology in their teaching and in student learning. We are making progress but still have a way to go. The work involved in getting us there is exhilarating. It will be a powerful place once we arrive. Hi Steve, I see that there is a wide range of opinions and responses to your post and that is exactly what you asked for, so I hope you are enjoying the conversation. 33 comments is pretty cool. I'm thrilled when I get 5 ;) But I digress. I think I fall somewhere in the middle of those who are sceptical and those who are wildly enthusiastic. I am an eLearning coach in a school and the majority of my work is creating opportunities and supporting teachers to enhance teaching and the learning with technology. Because I see real power in the engagement factor and the collaboration opportunities of Web2, I most often suggest learning projects that use web2 in some way. And I love every opportunity to do so. But we have a long way to go. I would say that in my school there are only one or two teachers who are actively using web2 tools and only one that I am aware of that is seeking collaborations and learning opportunities with other schools independently from my support. I have learned to be patient and to enjoy the small steps that I witness. It's a real dichotomy. Here we have this rapidly expanding web2 and its associated applications in education that see m to change and evolve overnight. And yet in many (most) of our schools it's baby steps that will take years. Thank you for this blog. I will be sending it to my administrators. I want to introduce myself to your commenters as an educator who has made vast changes in the past couple of years due to the read/write web. And I have documented evidence of change in my students' performance and skills. Do I think it was easy? Change never is. Am I in a district where use of the read/write web is mandated? Nope. And I am pretty much alone in what I do. But it does need to start happening more and more. This is a "trend" that is here to stay. And I've been around long enough to see many trends come and go. The promise of Web 2.0 is very exciting. However, collaboration as an instructional salvation to to a dull top-down Standards Based system is overly optimistic. I think you are still skipping over the critical thinking function of either teaching meaningful collaborative or individual work, which can be accomplished through the multiple exciting mediums of technology or speaking face to face.Educational philosophy tends to create reactive cults; consider the brick and mortar schools across the nation and just how poorly wired many of them are. This may also be another way for the poor to be even more excluded. Thanks for this post, I wish I could have been sitting in on the presentation. I agree that we will need a paradigm shift to reach our digital natives. It is not easy as a digital immigrant and there will be much resistance from educators. Never the less, it is definitely necessary! Thank you so much for presenting this information in such a succinct manor. I am very excited about the opportunities Web 2.0 tools give us as educators. I believe our students will be far more involved in the learning process and feel more connected to the real world lessons presented. I am not without fear, though. As the Web World becomes so much more interactive, I do worry about what my role as an educator will become, or if it will continue to exist at all. I have never been one to believe I hold all knowledge in the classroom, as I do learn so much from my students. I have been a teacher for less than 10 years and already the role has changed greatly. I am willing to embrace the changes the Web is bringing us, but I am not yet willing to give up my role as an influential adult in the lives of young adults. I am just wondering if any research has gone into this aspect of the topic. Thank you again for this information. I totally agree with you, particularly in regard to the role that we take in the world at large through Web 2.0. I'm a teacher and I see the need for embracing the Web 2.0 technologies and using them to change instruction, especially in how students publish and collaborate. As a consumer, I have also seen the way Web 2.0 has changed me- I rarely buy anything that has negative reviews on Amazon, and I love to participate in shows like Dancing with the Stars or American Idol by voting. Web 2.o is the future of education. Hi Steve! Just finished reading and enjoying your post. Pretty new to blogging, etc. but am using it this year with my seniors for their writing assignments. We as educators will continue to learn from our students, and this is a good thing. With Web2.0 we will collaborate as a community. How much will technology assume jobs that previously have been performed by teachers? Will this be a simple enhancement, improvement, facilitators of information, or will it begin to complete the transformation to a global education? Many questions run through my head, but the main issue that repeats itself is the need for technological updating by teachers. We can no longer be reactive, but it is imperative that we take a proactive stance. Steve, after reading your article and discussing Web 2.0 in my graduate class, I can totally relate to how you identified the different trends. I also agree that Web 2.0 will be the future of education and the society we live in today. I thought your descriptions and breakdown of the material was easy to understand and not bias. Overall, your article was great and I hope to encourage other teachers to implement technology and Web 2.0 into their classroom. Steve, thanks for setting up forums such as Classroom20 to facilitate networking and shared understanding of important issues. I think that many of the people don't yet understand how Web 2.0 engages adults as well as youth in new forms of learning and problem solving. As you pointed out, knowledge is rapidly expanding. Thus, people who create portals that not only host discussion, but host information related to the discussion, and facilitate actions based on what the group is learning, will become the power brokers of the future. Kids can learn this, just as well as adults. Steve - Great Blog and you are right on. 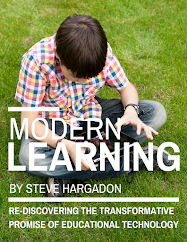 Collaborative, informal and On-Demand learning is where the future of education lies. Check us out as we are creating a new paradigm in On-Demand Knowledge acquisition. Thank you for the post. I've added it to my Diigo bookmarks and plan on sharing this with teachers in a class I will be teaching this summer. As an educator returning to the field after just a few years away from it, the Web 2.0 implications are eye-opening for me. I do think the only way to connect with students is to go forward. The idea of more collaboration and creation is exciting. The increase in collaborative access to information is going to allow for more customisation. However, seeing the push for more Web 2.0 technology in the education process makes me wonder whether it really gives the student a better education.Or is it simply a different one? One of the other commenters questioned the role of an influential adult in the teaching process. That role is seemingly diminishing as they become more a facilitator than a shaper. This does bring concern. Going in the direction that everyone is flowing in, doesn't necessarily give a student a good education. What about time spent on building a solid knowledge base? What about the old fashioned time-consuming methods that produce a well-rounded scholar? Aren't we just picking up the pace but leaving the important issued unaddressed? Connection with the students' world is vital, use of their ways of relating to the world are key. But let's shape the future of education wisely and adopt new technologies advisedly, not just because they're there but because the product is better than those previously achieved. I am a schoolteacher who works at a technical high school with access to students and technology. I also have the need to post pages of content to my students. My mind is awash with ideas. I can't decide where to start. I am a teacher with a computer. YeeeHa! While all of this is relevant to the 21C discourse, I think it is focused on 'read/write' tools and not noticing trends towards motivation though games. FB No.1. application is a social game - FarmVille. I am not suggesting 'games' over 'books', but what game designers do very very well is understand motivation and instructional design and assessment. 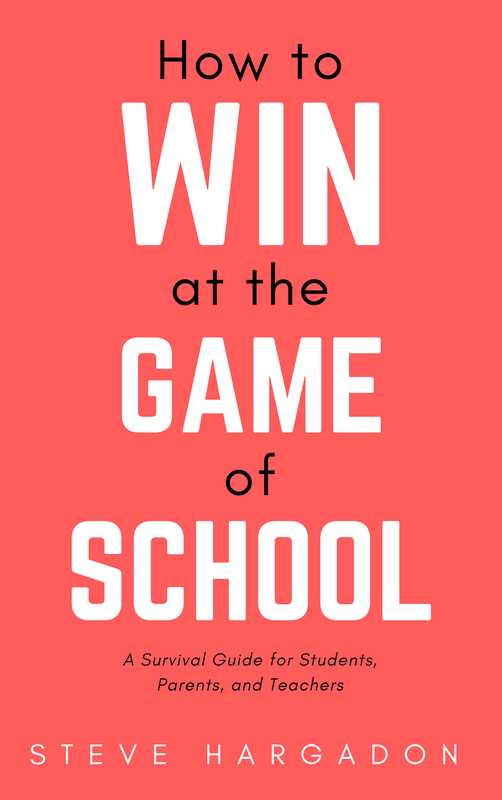 We are not yet seeing sufficient representation of social-games in education. There is plenty of research to suggest that games and immersive worlds are going to be increasingly important, as predicted in Horizon reports of old. They should be on the list I think. I think this is an excellent blog, however it's moving into an outdated reality. With the development of Web 3.0 there are new programs & software in development that will be moving us in a direction that many have only imagined. For example, as an educator I was privy to view a demonstration of a piece of software that created a closed web based SNS that was literally sitting on the web. Full interation between among students with controlled yet still full interaction with their teachers and parents while closing the door to any communication between students and other school staff and/or other parents. The system behaved beautifully as we had the chance to tour around and even play on it ourselves. While Steve, you have done an amazing job of outlining the future of technology and education, what we got to see has blown so much of it away that it makes me wonder exactly where our kids will be in another 20 years. As an educator I have seen a ton of evolution, but none of us we're prepared for the door that opened up to us recently. We are actually trying to now be the first school to run this new software and look forward to what it's going to do to give our students a huge edge over all other schools. What you've described would be, in my book, Web 2.0 and not Web 3.0, although definitions do differ. Much of what is discussed about Web 3.0 is related to predictive capability, whereas Web 2.0 is about collaboration and contribution. I worry that in our rush to get to the "next thing" we'll miss these most important aspects. Your article is very thought provoking (note the huge content generated in response). I'm looking forward to sharing your ideas with my husband- a high school English teacher who is not so convinced about the value of all the social networking capabilities of our kids. I also agree with you that they need our guidance. One addendum to your interesting article. The original definition of the word pro-sumer is not the combination of the words "producer" and "consumer". Instead, the word prosumer comes from the video production industry. Prosumer is the combination of the words professional and consumer. So a prosumer product is a mid-level device that is somewhere between an unsophisticated consumer-level product and a very sophisticated professional-level product. The word has been co-opted by others. It is now sometimes used to mean a combination of the words "producer" and "consumer", as you suggest. But, its use is often misunderstood. For instance, when talking about a prosumer, one could actually be referring to someone who is not yet a professional. Some professionals in a given field use the word prosumer in a disparaging way. You are spot on. However, as an elementary school educator the biggest problem at our level is the money to purchase the technology equipment. If we don't have the equipment then there is no or limited access on campus for the students. And the money is not there and getting less every year. If someone can figure out how to get more money for the schools the rest will follow. Heylo. I enjoyed your reading although I do not agree entirely with all of your whiz-bang visions, but that could just be my generation being cynical. Great information; I am engaged in a "23 Things" course for my school and one of the tasks was to read your post and comment. I certainly agree that the shift to Web 2.0 will benefit education enormously in the near future. Thanks for the insight. I remember the first demonstration of the internet at our school and how excited everyone was. I thought it was some fleeting fad that would soon pass.I wouldn't have to deal with it. No reason for me to learn this stuff. Who knew?!? Your article would have been science fiction back then. The power of Web 2.0 is here to stay and grow. I teach gifted students and I think Web 2.0 is a great tool to help me feed their passions. It's also a way to help me differentiate their curriculum. This was a great post. I will be coming back to this post over and over for idea. I'm forcing myself to post a comment because it makes sense to me to jump in somewhere. And on one level I get the point that the answer to information overload is to produce more information, but I have a question about time. In the process of trying to figure out where the link was to post, I clicked on the "Share" button and probably 25 sites appeared in a scroll down menu. I didn't even recognize most of the sites. Where do I create time to explore them? Physically and socially I really don't enjoy being in front of a screen for long. My other question relates to teachers still being needed. My first response was a huge smile, "YES!" Then I wondered how on earth I can help students sort from an overabundance of information when I can't??? It seems like most of these comments are not much more than back patting, and since I can make up my own mind about the content, I consider it a waste of my time to read through it all - which is one of my concerns about the quantity of information available online. In this world of information overload, we waste time sifting through all the babble looking for the information of value. In response to "About," who seems frustrated by all those "baby boomers" who are holding things back, perhaps you should consider the possibilty that it might be a blessing that there are people around to remind you not to throw the baby out with the bathwater. The fact of the matter is that there have always been good teachers and these new technologies will not necessarily create more effective teachers or smarter/more informed students. In fact, one thing that people seem to forget when they post information online is the importance of proofreading. When the potential is there for anyone in the world to read what you have written, it may be more important than ever to write clearly and include correct spelling and appropriate punctuation in order to avoid misunderstandings. Thanks for commenting. Interesting that you'd feel the back-patting is not valuable, but I think it reflects the change in the use of the Internet toward being a "conversation" rather than traditionally vetted content. And in a conversation, that kind of response is valuable and does communicate something about how the larger audience is reacting. I, too, agree about the need for good dialog regarding the impact of these technologies, and the importance of being clear about what they accomplish and what they do not. Steve-This should not be the future, it should be the "NOW". Two years after this post has gone up, and schools across the country are still working on a curriculum an inch deep and a mile wide, as if the acquisition of a so-called "knowledge base" should be the goal of education. I would put forth that nothing we teach after basic reading and math is as important as the acquisition of the ability to communicate, to collaborate, and to think critically. The subjects do not matter, and I am inclined to say that the delivery does not matter either. Web 2.0 is ubiquitous now for our students, and continuing to dwell on it is like a teacher in 1950 saying, "Look, we have books now!" I realize this is a limitation of the course material selected by the 23 Things people, and not owing to you, Steve. Interesting and thought provoking blog. Thank you for sharing. Your post is just amazing!!! It is really food for thought! Great job!! I am employed in the e-learning, because I am a teacher. I think the good e-learning potential. There is a class, where I introduced tentatively, that if you are sick, you can send it by e-mail tasks, and parents will also receive an email. So the student can be up to date, not to miss out on the material. There is also a good book on the subject. The e-learning. I've been teaching for 33 years. I don't want to become a dinosaur. I agree that we really need to engage our students on their own turf. Web 2.0 is definitely the avenue to this end. I recently created a blog site for my students to comment on the books they have been reading. What an eye opener! Discussions such as these seldom occur within the classroom. I'm eager to implement as much technology as I can in my classroom. I am so excited about Web 2.0 tools and their possibilities in making education exciting adn relevant for the learners. What's really great too is that I am managing to convince some of the teachers at our school that this is really the way to go! I am very excited to learn about Web 2.0. I feel that the students learning will be enhanced because, in addition to the teacher's guidance, they will be learning from one another. As a teacher, I agree wholeheartedly with your musings on Web 2.0. It is our present reality. Learn it, grab it up, chew it up, digest it, and ask questions. Thanks for your leadership. Thanks for the great post! Will definitely try to integrate this web 2.0 into my own teaching. Steve, this is one of the most brilliant pieces on web 2.0 that I have ever read. I wholeheartedly believe what you said and embrace the philosophy behind it. The real task is to convince the "powers that be" to think outside the regulations box that we are trapped inside. That's a struggle to which I still cannot find an answer. Thanks for your inspiration! Yes, I believe that Web 2.0 tool are the future of technology. This is why I have converted my technology class to 90% online class (http://www.mrgranado.weebly.com/). This allows our students to become creators and the teachers facilitators. I am a Technology Enhanced Learning manager at a tertiary institute in South Africa. This is in fact a new post, so for me I found that your article was really interesting. The biggest problem though that I encounter is different levels of ability with technology, as well as the concept of 'time', either time to upload resources, or 'time' to incorporate it into the class room. I would really appreciate any suggestions you may have. Thank you for a really interesting blog. I have just recently been given a position at a tertiary institute in South Africa, which aims to establish technology enhanced learning inside and outside of the class room. The biggest challenge I have found was that lecturers/students have various levels of technology skills, and the attitude to embrace this varies dramatically. I am currently writing a paper for our national journal regarding this challenge. I would appreciate any kind of suggestion on how to change the mind sets of the lecturers, if you have any. @sonja: I would suggest joining http://www.classroom20.com, where you can get lots of advice in this regard! I completely agree with the growing exponential pace of technology Web 2.0 will be a huge roll in the education industry. Time's have changed since we were in public schools and we have to keep up to date with technology. Imagine possibilities with students with their expanding minds with web 2.0, Students will be able to adapt very quickly because of how technology is easier to understand. this is definitely a lot of information to digest. I am particularly interested in the concept of combating information overload with more information. Hi Steve, agree 100% with your post. I like the point you made that a decade ago educators kept focusing on internet safety - and that still is a necessary topic in schools today - but so much time is spent on regulating student access and internet safety, that there is hardly any time left in the curriculum for students to actually learn how to produce, create, and upload. We keep teaching with a Web 1.0 mindset and 2.0 is about becoming apart of the internet community. Teachers really need to reevaluate how they use technology in the classroom and whether or not they are teaching students skills that they can use a decade from now. Great info! I just jumped in as recommended and I am learning so much! Looking forward to continued teaching in the 21st century and being ready to engage my students! I teach a sophomore college course called Technology in the Schools. Your information reinforces my beliefs. Great post. Lot of insight, views and lot of information. I will be getting back to your blog to get more of you knowledge.